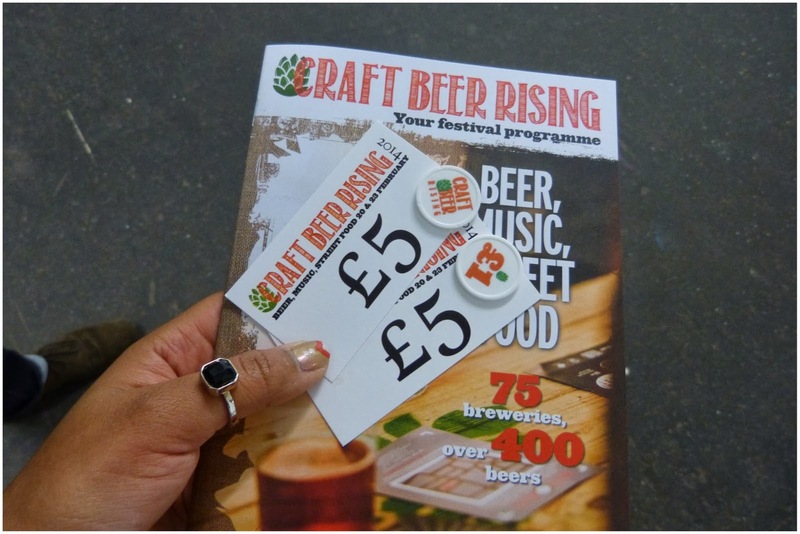 Last Sunday, I offered to drop in to a festival I had never heard of before: Craft Beer Rising. Those of you with a penchant for beer may already be familiar with this event, unlike me: a complete novice and not the biggest beer fan. Great start. In order to make sure I wasn't immediately turned away at the door, I brought along my buddy +Asad for some beer street creds. 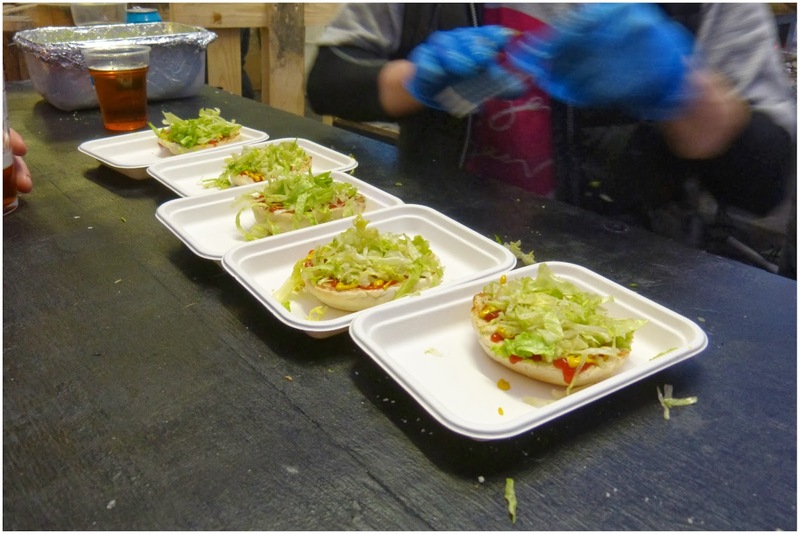 Located on Brick Lane and surrounded by some amazing-smelling food markets on a bright sunny day, initially it was difficult for me to focus on getting my beer on. As soon as we entered the venue, the brewery smell hit me and I thought this must be what beer-heaven smells like, hehe. We were greeted by some very cheery folks who showed us to the main desk where we could get tokens. We exchanged cash for play money and off we went to investigate the 60 or so stalls of breweries. There was no real starting point so we just decided to dive in and start browsing and tasting. Soon enough we got into the swing of it and it was really fun, even for a beer amateur! The first few stalls we tried weren't to our taste. I was sticking to the blondes as anything stronger would have made me sad. Asad suggested I focus on pale ales so that became by buzzword at every stall :D Eventually, I managed to bag myself a 1/3 pint [yep, I went big] of something delicious from Hells Yeah! 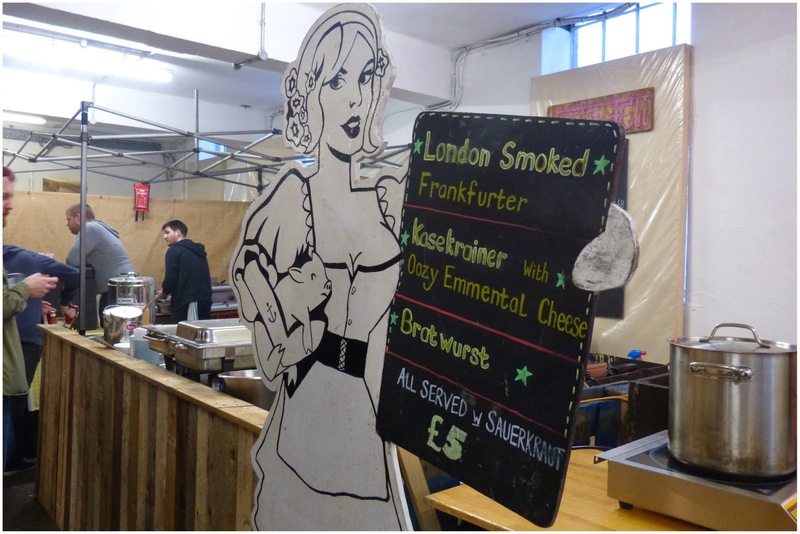 of Camden Town Brewery. A light, citrusy beer that made for a good start. 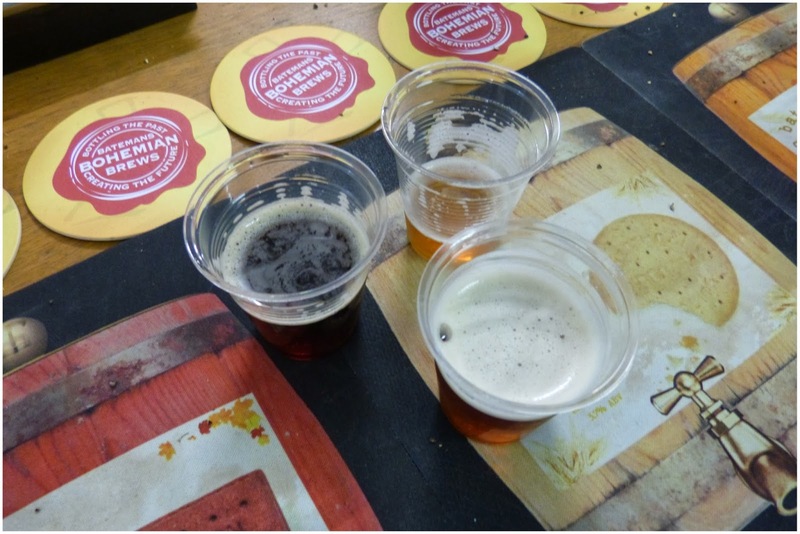 We then moved to the Batemans Bohemian Brews stall where I decided to get adventurous. This fun team believe that brewing beer is similar to making biscuits, as they use the same ingredients. I forget now how exactly but I'm sure their website can explain in more detail. We tried three of their creations: Mocha Amaretto, Orange Barley & [the brand new] Winter Chocolate Biscuit. The first two were too strong for me but I quite liked the choccy biscuit one - an unexpected combination but nice surprise at how well it worked, coming soon to a town near you. 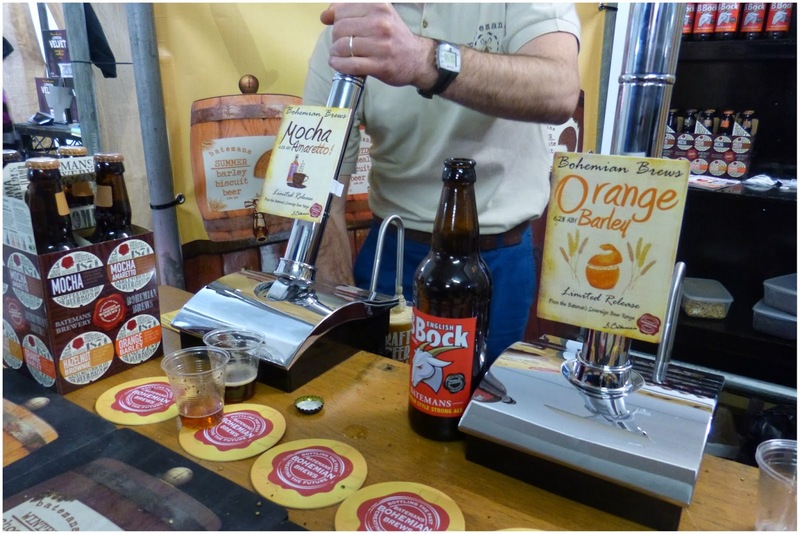 With 60-ish stalls to try beers from, it can soon become quite dangerous. Especially when tasters are served in shot-sized cups. 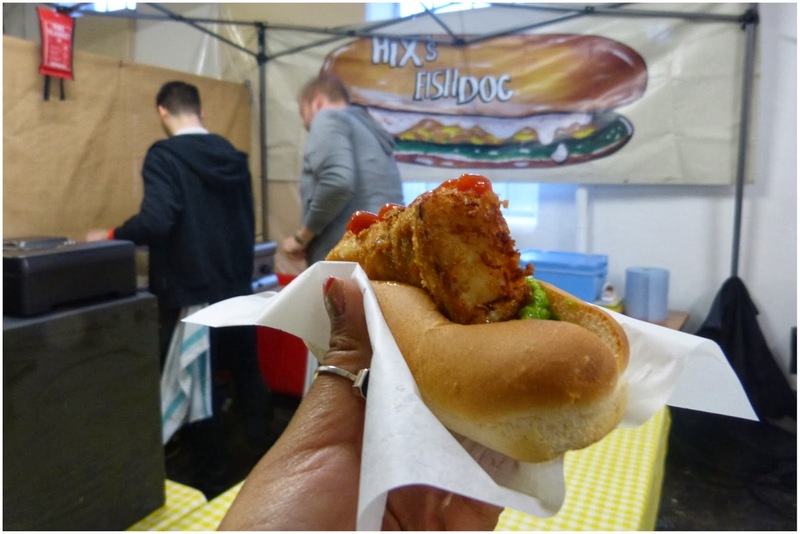 Lucky for us, this wasn't just a beer festival as it's complimented by some delicious food stalls serving the perfect accompaniments: saucisson sec, bratwurst, pork pies, burgers and what I ended up opting for: the Fishdog by Hix's. One of my favourite food discoveries this year. I can hear some of your brains thinking "but isn't that just a fish finger in a hotdog bun?". Well my friends, this is no meer fish finger sandwich snack we would usually tuck into on a rainy afternoon. Imagine the flakiest white fish you could get in a good Fish & Chip shop, make it giant fish finger shaped and Tuck In. It's surrounded by sweet, minty mushy peas of the perfect consistency and I topped with some ketchup. Bea-u-ti-full. The amazing food didn't stop there. Asad then decided he fancied some chips so we headed over to Burger Bear [the best name; I can just imagine a big burger giving me a giant bear hug]. But oh no, they had sold out of chips. It's OK though, the awesome guys at Burger Bear decided to give Asad a signature burger for the same price as chips. Winning. I then genuinely lost Asad for about 15 minutes. Not physically, but he was so into that burger I think everything around him just disappeared. It was just him and the burger bear burger; I hadn't been invited to the party. Post-food, we tried out some more beer. It was great meeting such a variety of brewers, from those relatively new to the game to the seasoned pros. 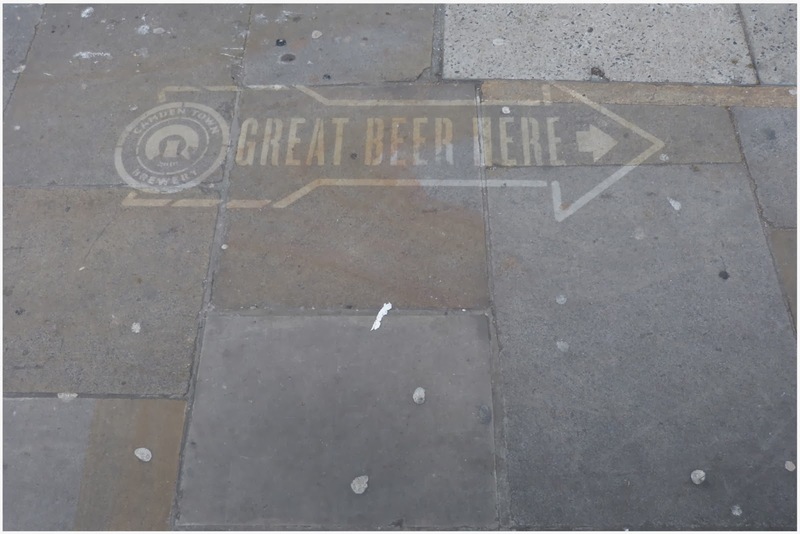 Other highlights for us were WEST brewery and Greene King. 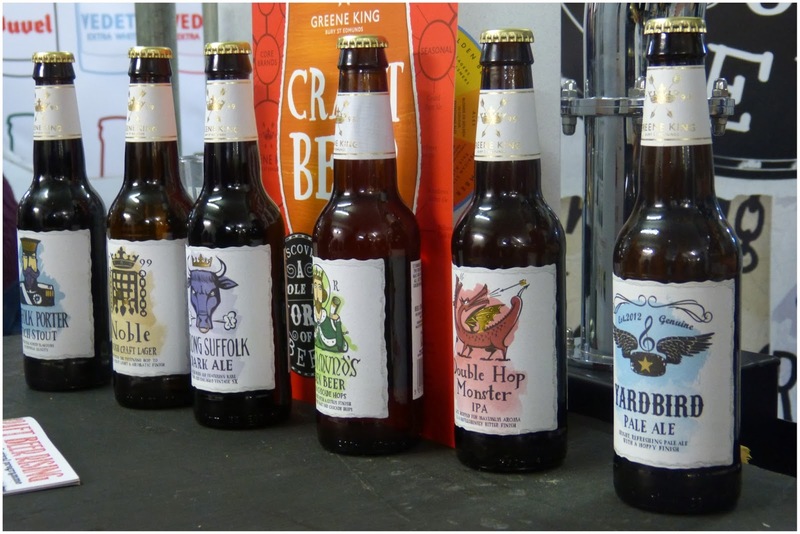 I was particularly drawn to the Greene King stall because of the colourful bottles and quickly discovered that their speciality beers were pretty good too. I first tried their Belhaven Twisted Thistle IPA, which Asad and I both later bought, and then went onto their specialities: Yardbird, Double Hop Monster & St Edmunds. 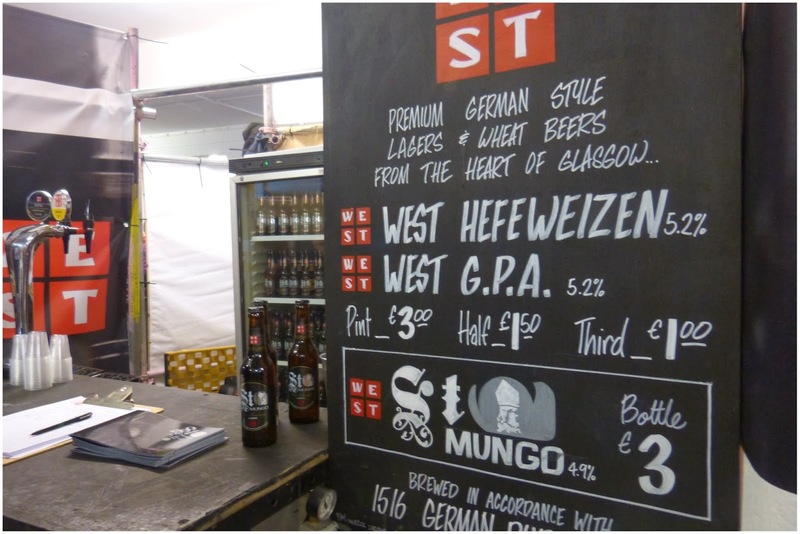 This was definitely one of my favourite stalls, the beers were accessible (plus not too strong) and had a little interesting twist. Outside of the tastings, it was just fun looking at all the different labels. There was a particular stall, I think manned by the Duvel team which had the best bottle labels. They looked like they could belong in an art gallery or something, and had a little retro-touch which I'm always a sucker for. 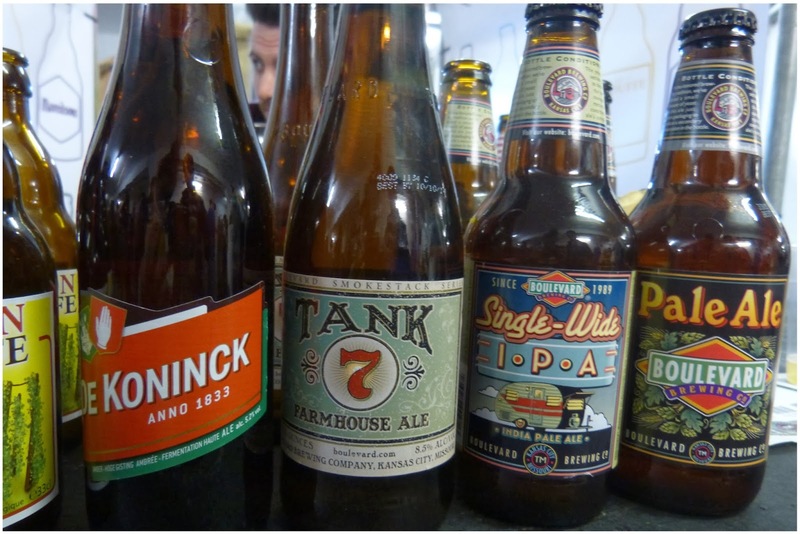 Craft Beer Rising is also a great opportunity to discover and learn, even if you go in not knowing anything about beer. 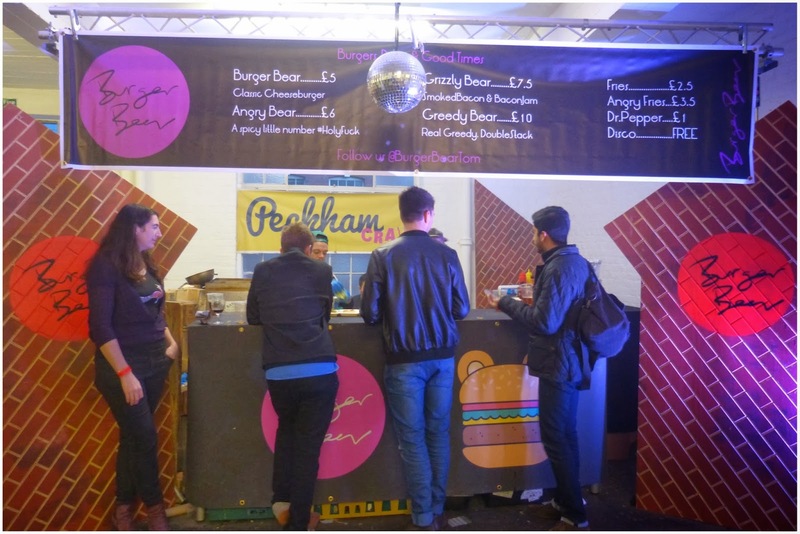 Another favourite stall was Truman's, the venue's own reps who were really friendly and super knowledgeable. 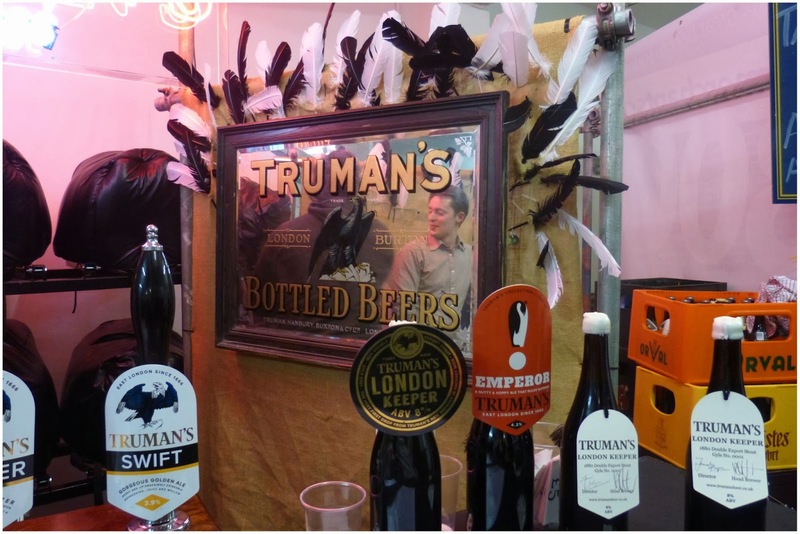 I learnt about and tried Truman's London Keeper, while pushing my pale ale limits to the max. 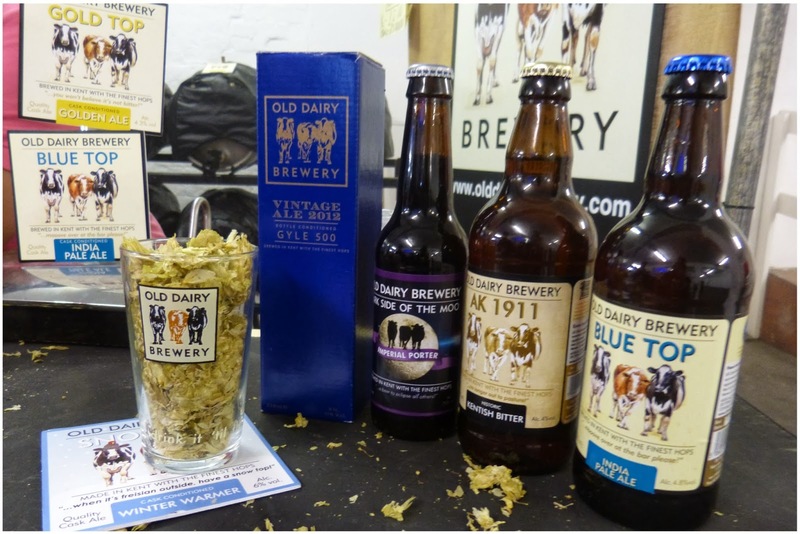 For most, beer is just something you drink casually in a pub or bar or with a tasty take-away. However, this particular bottle was pretty special. More like wine, you will appreciate it more if it's sipped alongside a good cheese board or even christmas pudding. Only 2,000 bottles of Truman's London Keeper were made, each bottle has been hand signed and finished in ivory wax; and like wine, it's meant to improve and develop over time [for up to a decade to be precise]. Me equals lucky girl to have tried it. 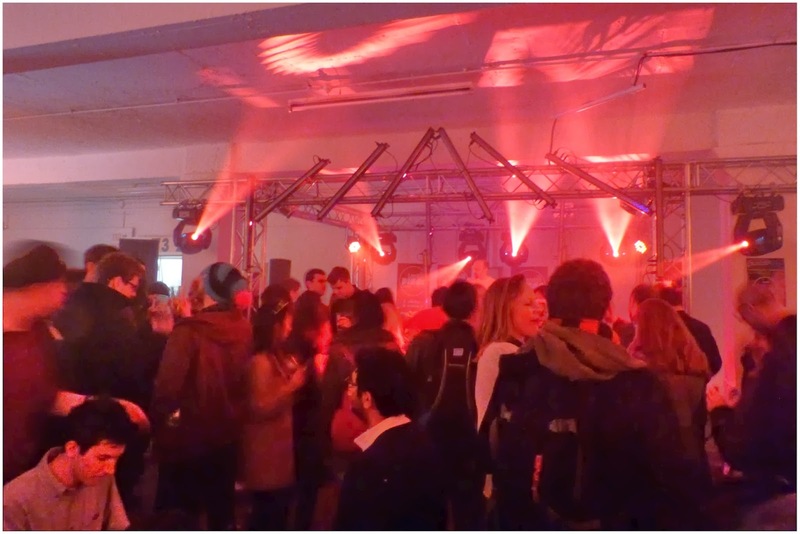 Oh, and to top it all off - Mr Scruff was DJing as the backdrop to this great event. Normally I would have enjoyed with a cup of tea but beer was a good second on this occasion. Post quickly picking up a blue-top from the team at the Old Dairy stall, Asad and I decided to have a little dance with the crowd. It was pretty surreal but amazing. After a super funky set, the evening ended with the crowd singing along to a brass-band version of Sexual Healing by Marvin Gaye. It was epic, and a perfect way to end a really fun day. Special thanks to +Chris of tikichris.com for letting me be him for this treat, the cheery and extremely friendly folks of Craft Beer Rising, and +Asad for being a super beer-hopping buddy! Make sure you check it out next year.